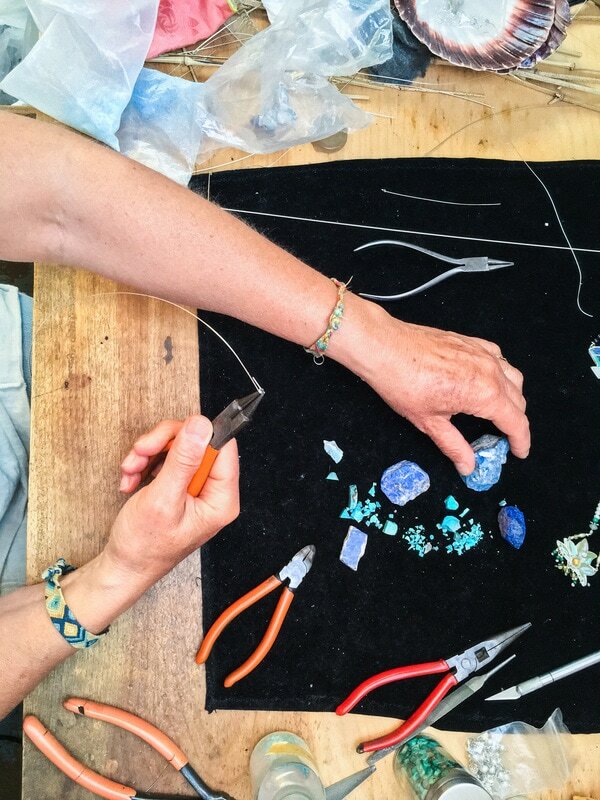 At EarthWorth Jewels the true definition of handmade comes to life. 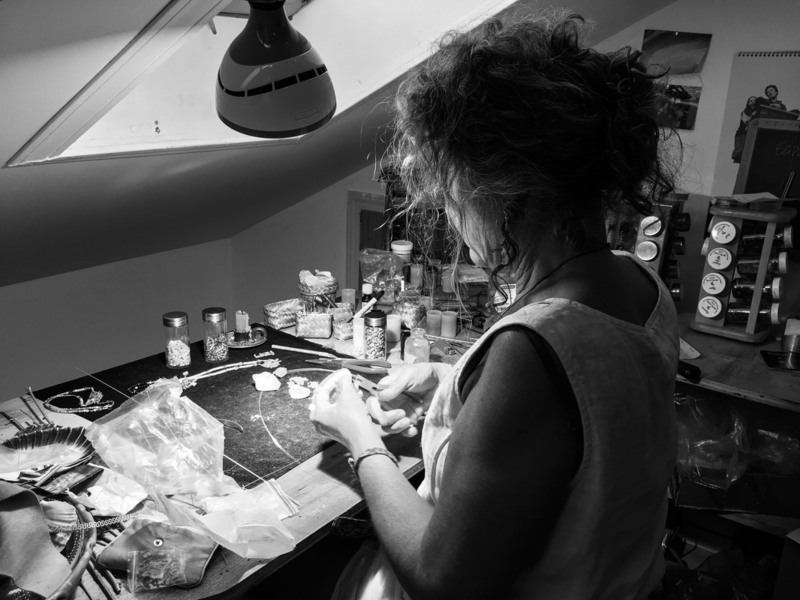 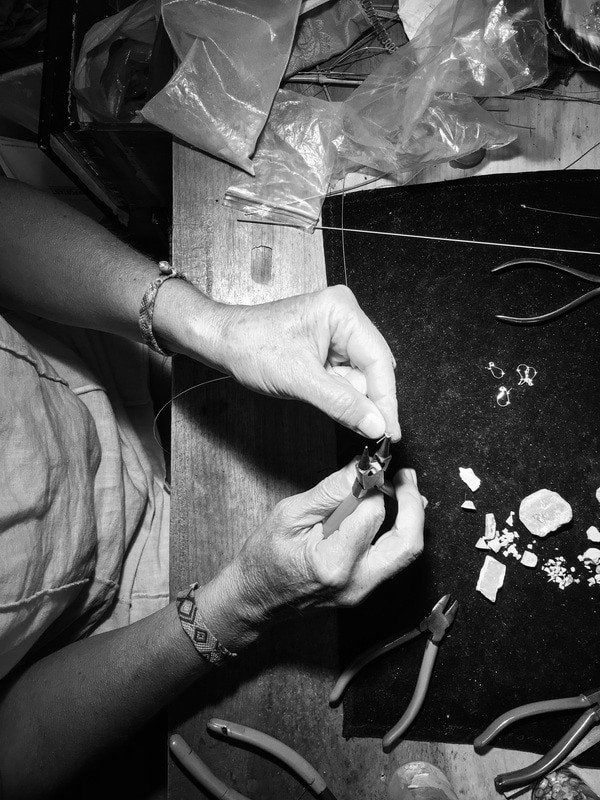 Every piece is carefully crafted from beginning to end in Beate's workshop. 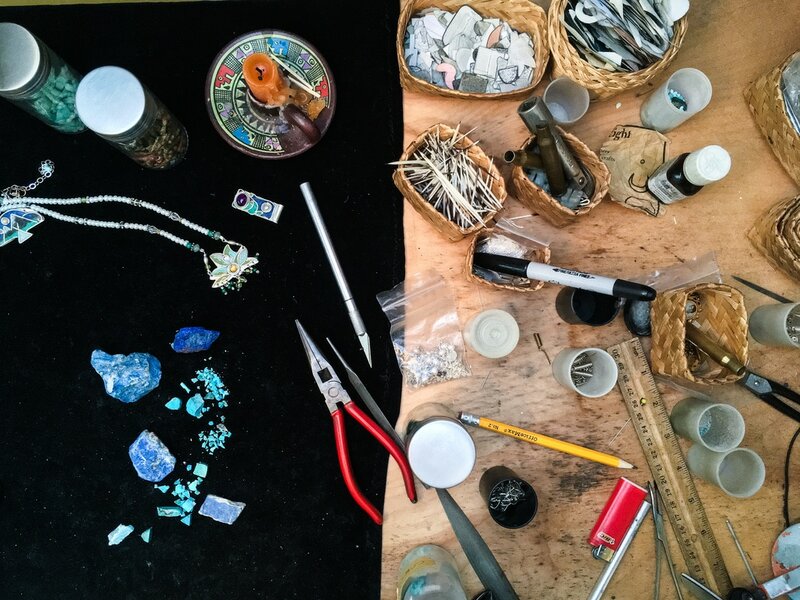 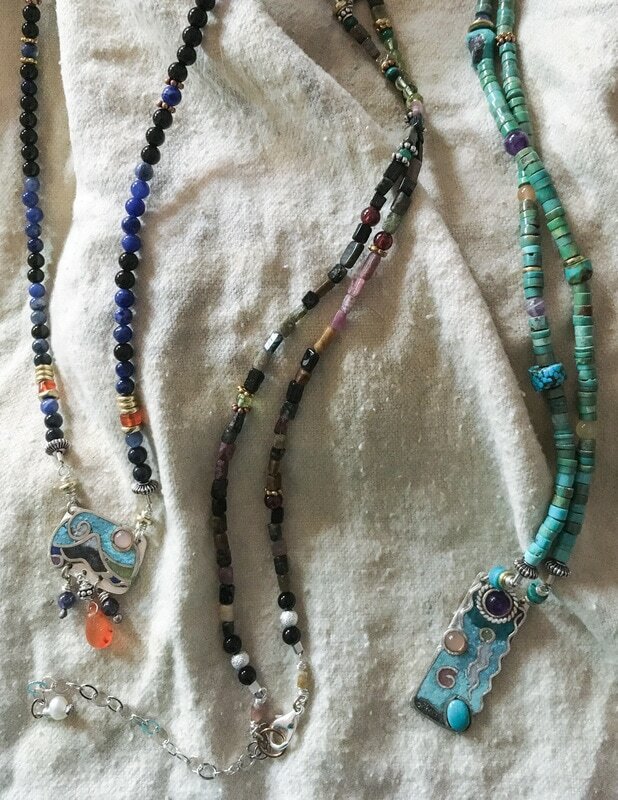 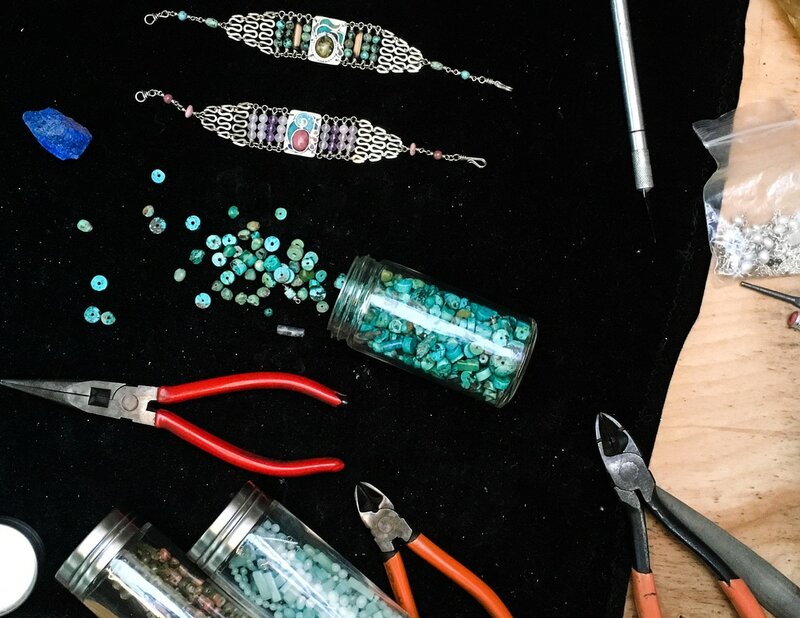 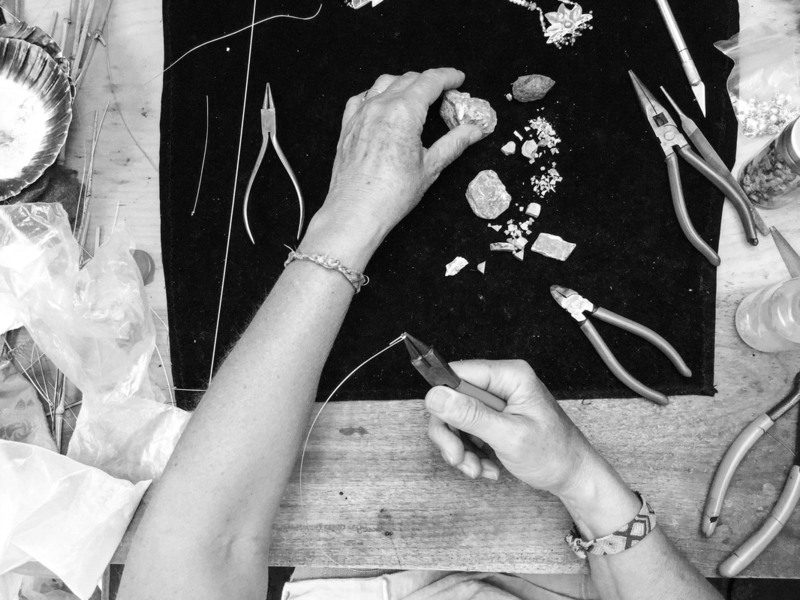 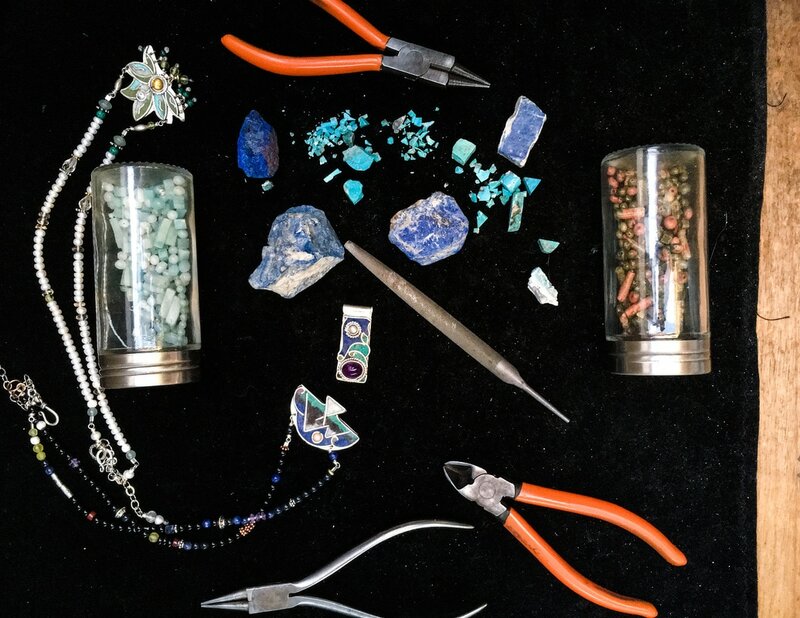 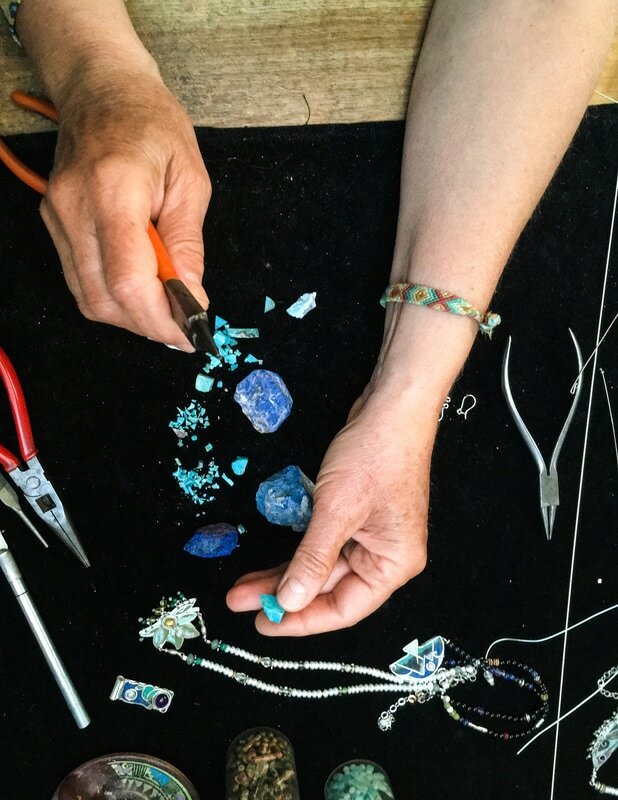 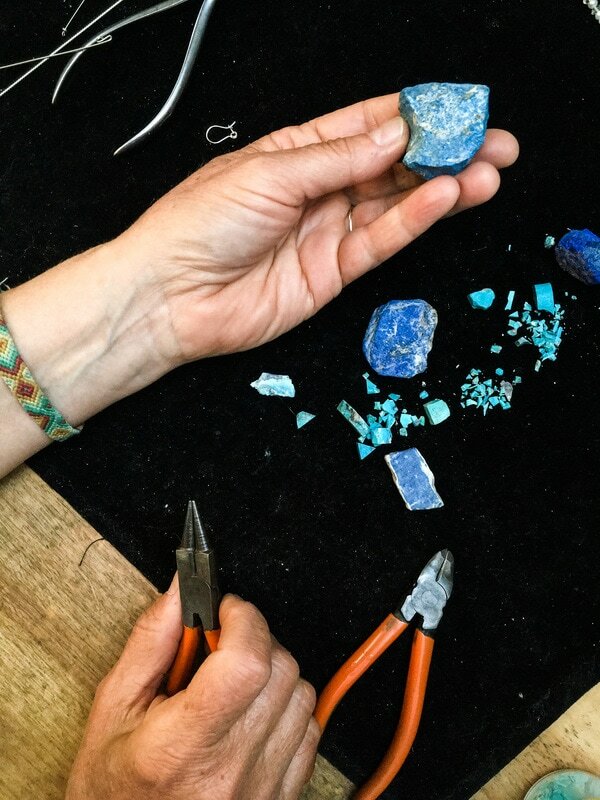 From drawing design cutouts, to pulverizing raw gemstones, she is in control of the magic.